The Blue Jays scored four times in the top of the second inning on their way to a 6-4 win over the Red Sox at Fenway Park Monday night. Drew Pomeranz started for Boston but went just 2+ innings, his shortest outing of the season. He allowed five Toronto runs on seven hits and a walk as his record dropped to 16-6. Following the game, there were concerns expressed that Pomeranz's velocity was down from his previous starts. More important was his inability to locate pitches, especially when he gave up a two-out, two strike double to Teoscar Hernandez in the second inning. 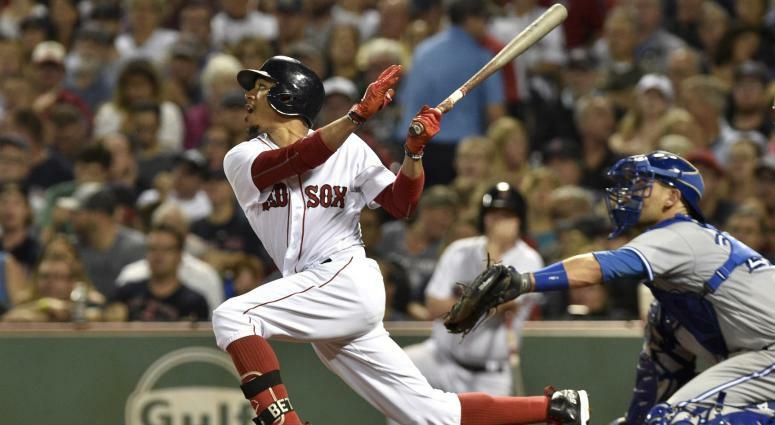 The Red Sox enjoyed an early 2-1 lead in the bottom of the first inning courtesy of RBI ground outs by Mookie Betts and Hanley Ramirez but had trouble generating any offense. Betts had a pair of hits but left the game in the eighth inning with wrist discomfort. Eduardo Rodriguez was back in the lineup but left after his second at bat, after he appeared to aggravate a knee condition that had sidelined him.